How can I protect my Family spiritually? 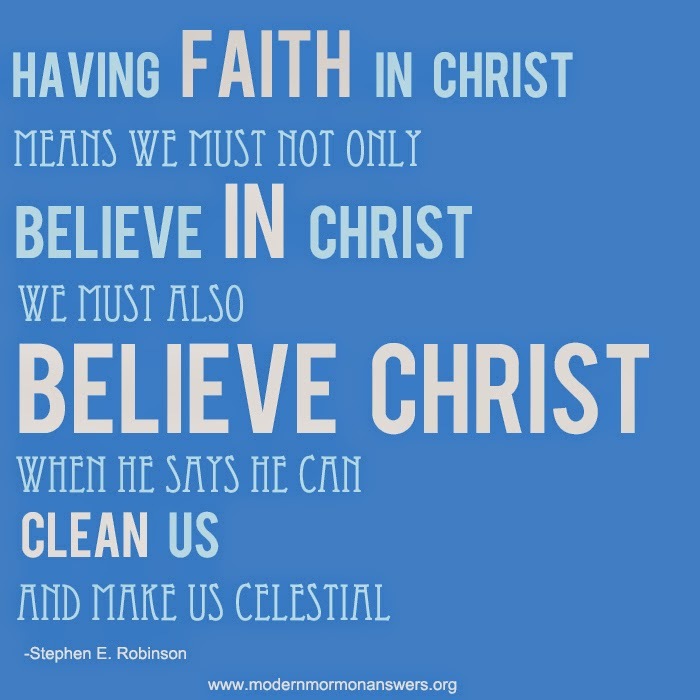 In a talk given by Cheryl A. Esplin in the April 2015 General Conference, she likens strengthening the family to a demonstration of two soda cans. One can is easily crushed and the other remains intact. The can that is strong and can’t be as easily destroyed is the one that is filled. Likewise, in our families, we need to be filled with the spirit if we want to stay strong and not be broken by the negative forces around us. Becoming filled with the spirit does not have to be a difficult or complicated process and boils down to doing the things we know to do. 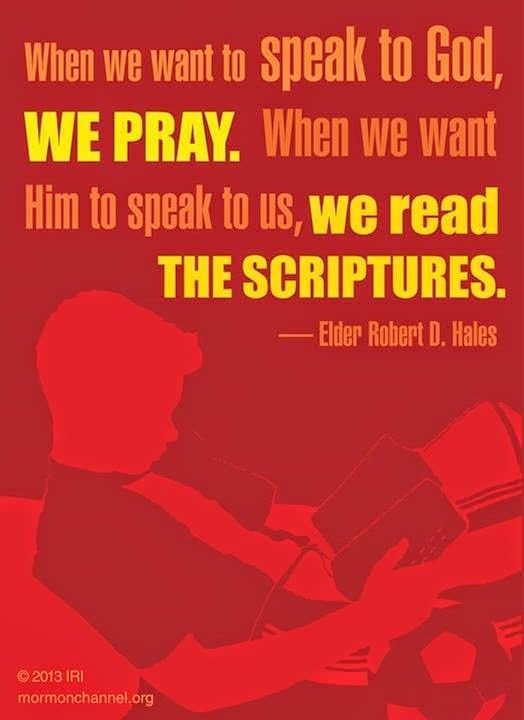 This is one of the major reasons that the prophets and apostles have repeatedly stressed the importance of doing the fundamentals such as reading our scriptures individually and as a family, going to the temple, having Family Home Evening, and praying individually and together. If we do these things consistently, the spirit will fill our homes and strengthen our families and we will be able to withstand the challenges that are in the world and that may come our way. The family is ordained of God and is central to His plan for the eternal destiny of His children. This divine plan makes it possible for individuals to return to His presence and for families to be united eternally. In The Family: A Proclimation to the World it states at the beginning that marriage between a man and a woman is ordained of God and that the family is central to the Creator’s plan for the eternal destiny of His children. David O. McKay stated that "No other success can compensate for failure in the home" It's no stretch to say that a person has a serious advantage in life if they come from a loving, supportive home. Many people still succeed though they come from less-than-ideal family situations, but having our basic needs met, knowing that our parents love us and learning life lessons at home make all the challenges of day-to-day living that much easier to face. Likely, as an adult you want a happy home for your family. This is no coincidence. God organizes us into families so that we can grow up in happiness and safety, and so that we can learn to love others selflessly—the key to true joy. Within the family is the best place to learn to love others the way Heavenly Father loves each one of us. God's Church exists to help families gain eternal blessings. 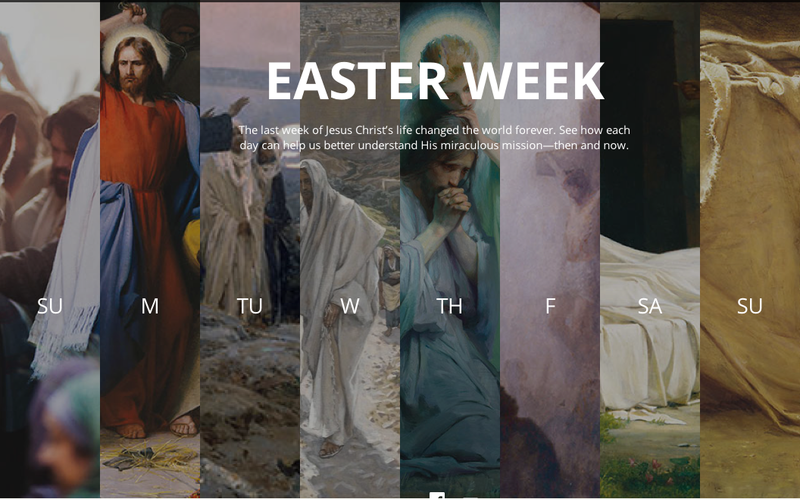 We believe the greatest blessing He gives us is the ability to return to live with Him in heaven with our families. We follow our Heavenly Father's will because that is how we earn this blessing. What is an ordinance in the Mormon church? 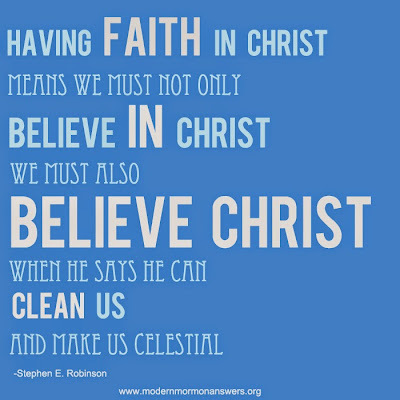 In the Articles of Faith which are 13 major points of belief for the Mormon (LDS) church, the fourth one mentions ordinances. "We believe that the first principles and ordinances of the Gospel are: first, Faith in the Lord Jesus Christ; second, Repentance; third, Baptism by immersion for the remission of sins; fourth, Laying on of hands for the gift of the Holy Ghost." An ordinance is a sacred, formal act that has spiritual meaning. Ordinances are performed by the authority of the priesthood and under the direction of those who hold priesthood keys. Ordinances help us remember who we are and remind us of our relationship with God. 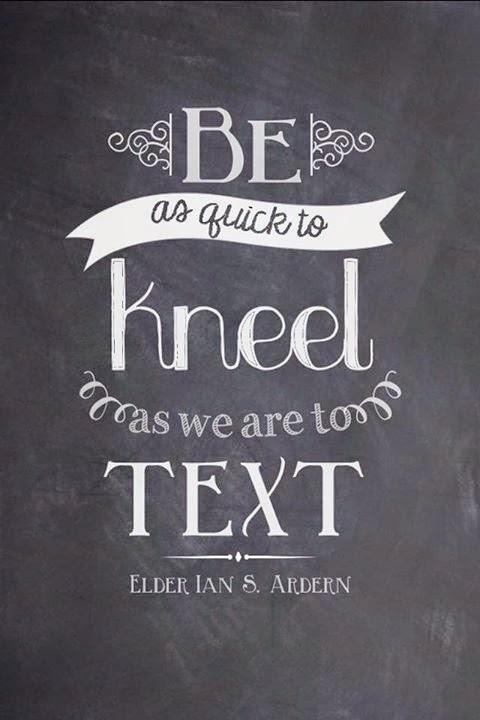 They help us come unto Christ and receive eternal life. If we want to know what God is like, we can simply look to the attributes of what his Son, Jesus Christ possesses. 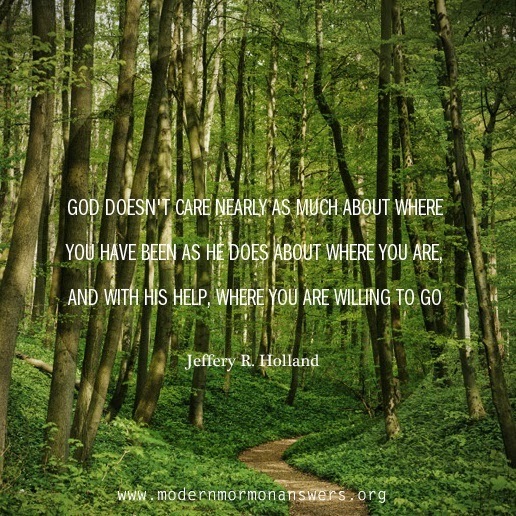 In General Conference of October 2003, Elder Jeffery R. Holland stated: "It is the grand truth that in all that Jesus came to say and do, including and especially in His atoning suffering and sacrifice, He was showing us who and what God our Eternal Father is like, how completely devoted He is to His children in every age and nation. In word and in deed Jesus was trying to reveal and make personal to us the true nature of His Father, our Father in Heaven." In the sermon on the mount, the savior taught us to "Be ye therefore perfect, even as your Father which is in heaven is perfect." (Mathew 5:48). But can any of us ever really be perfect? We all make mistakes and fall short but on the other hand, would God give us a commandment without providing us a way to accomplish it? Luckily he has provided a way. Moroni 10:32 reads "Yea, come unto Christ, and be perfected in him, and deny yourselves of all ungodliness; and if ye shall deny yourselves of all ungodliness, and love God with all your might, mind and strength, then is his grace sufficient for you, that by his grace ye may be perfect in Christ; and if by the grace of God ye are perfect in Christ, ye can in nowise deny the power of God." Although none of us are perfect, the Savior is. We rely on his perfection and grace and make us clean and able to return to live with our Father in Heaven. Heavenly Father loves us and wants us to communicate with him. We do that through prayer. You can carry a prayer in your heart and pray at any time. You can and should also have a special moment set aside to pray to Him in quite and solitude, such as in the morning when you rise or just before going to bed. God is always pleased to hear from us no matter the situation. Our prayers shouldn't be repetitive meaningless words or phrases that we don't think about, but sincere heartfelt pouring of your heart. Telling him of the things your grateful for. Things specifically from the day you have just had. Feelings your are currently going through. Thoughts and questions. He wants you to share with him so that he can share his guidance through that Holy Spirit. Next time you get on your knees to pray, instead of repeating the same thing, share with him your deepest emotions, thoughts, questions, repentance from specific sins, and praise and gratitude to Him. Your relationship with God will become closer. You will hear the Spirit speak to your heart more in you life. Have you ever wanted to feel inspiration and have your prayers and questions answered by God? Each of us is entitled to personal revelation to help guide us in our lives. 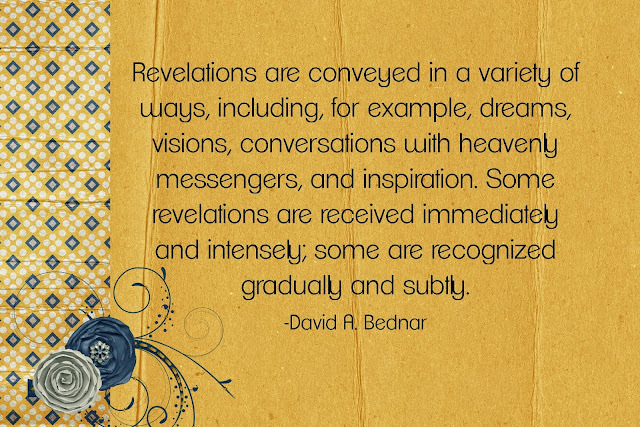 You can learn how to feel and hear inspiration from God. First we must prepare ourselves by setting aside time to study scriptures and ponder, and to pray. There are many different ways one might hear the Holy Spirit. Sometimes he goes us feelings of love, joy, peace, patience, faith, or hope. See Galations 5:22-23. The Holy Spirit may give us ideas to the mind, or occupies the mind and presses on the feelings. Good feelings and enlightening your understanding of things as in Alma 32:28. Sometimes a feeling of replacing darkness with light and gives comfort to your soul. How do you recognize a thought from the spirit vs otherwise? 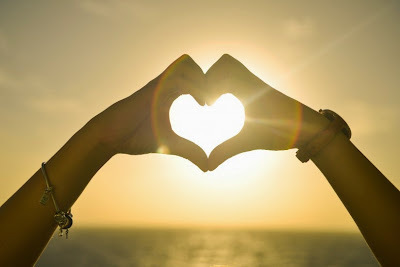 Gordon B Hinckley said, "You recognize the promptings of the Spirit by the fruits of the Spirit--that which enlighteneth, that which buildeth up, that which is positive and affirmative and uplifting and leads us to better thoughts and better words and better deeds is of the Spirit of God." When I was young and choosing which Collage to go to, I went to the Lord and asked him in prayer after studying out in my mind a few options. I knew a lot about my choices. I thought before approaching in prayer that the one closest to my home would likely be best, but wanted to know for sure if it was the path God would suggest. I asked if this school was the right decision and I did have a stupor of thought. My mind felt uneasy. It didn't declare "No! This is not your path" It just felt wrong. When I then prayed about another option, my heart felt so at peace. It was unexpected, but I knew it was God speaking to my heart. I encourage you to spend time studying, praying and pondering. Try to listen for the Spirit in your life, which is there to speak to us all if we listen with more than our ears.